Matthew practices complex, high-stakes corporate litigation, with an emphasis on energy, construction, and securities disputes. 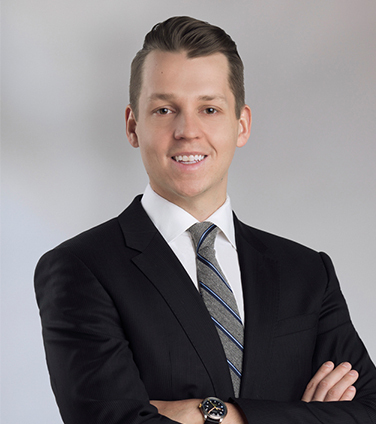 Matthew has a proven track record of understanding and advancing clients’ corporate interests with a strategic and persistent focus on achieving their objectives, whether in the courts or by way of negotiated resolution. He always manages files with a view to ensuring efficient and cost-effective resolutions to disputes, often under alternative fee arrangements. Matthew advises energy companies on environmental and climate change litigation risk. He regularly speaks and writes on climate change litigation in Canada and abroad. Matthew also advises on commercial construction matters, acting on behalf of owners, contractors, and subcontractors. • acting for CNRL in multi-billion dollar litigation associated with the Horizon Oil Sands operation. Matthew is called to the bar in both Alberta and British Columbia. He acts as counsel in complex commercial disputes in both provinces. Kinder Morgan Canada: in successful injunction and contempt proceedings relating to the Trans Mountain Expansion at the British Columbia Supreme Court. A multi-national oil company providing advice regarding climate change risk disclosure and climate litigation risk. Williams and Inter Pipeline: in a $250M USD dispute relating to the proposed construction of a propane dehydrogenation and polypropylene facility in Strathcona County, Alberta. EnCana: in a $11 million claim brought by a landowner for alleged damages sustained due to “fracking” in oil and gas operations. CNRL: in a commercial dispute in relation to interests and obligations associated with the multi-billion dollar Horizon Oil Sands operation. ConocoPhillips: in a multi-million dollar claim against Ensign at the Court of Queen’s Bench of Alberta involving the interpretation of the no-fault and take-over provisions in the CAODC Master Daywork Contract. Canexus: in a dispute with Superior Plus Corporation over a $25M break-fee provision. The directors of a Mortgage Investment Corporation in a multi- million dollar class action proceeding, a derivative claim, and an oppression claim which sought to remove the directors from the company’s board. “Climate change litigation arrives in Canada”, (co-author, February 5, 2019). "First of its kind – Ontario NDP tables civil liability for climate change bill", Update: Apr 3, 2018 (co-author) “Deﬁning industry-speciﬁc contractual terms: Supreme Court of Canada revisits principles of contractual interpretation“, (co-author, February 16, 2017). “Document Management in Complex Litigation Files Legal Education Society of Alberta“, Calgary, Alberta (co-speaker, February 25, 2015). “Document Management in Complex Litigation Files Legal Education Society of Alberta”, Edmonton, Alberta (co-speaker, February 18, 2015). “Is it Unethical to Not Understand E-Discovery? Professional Liability and Discipline Litigation”, Volume XVI, No. 2, p 981-984, (co-author, 2015). “Canada 2013 Year in Review, FCPA Professor”, (co-author, January 14, 2014).